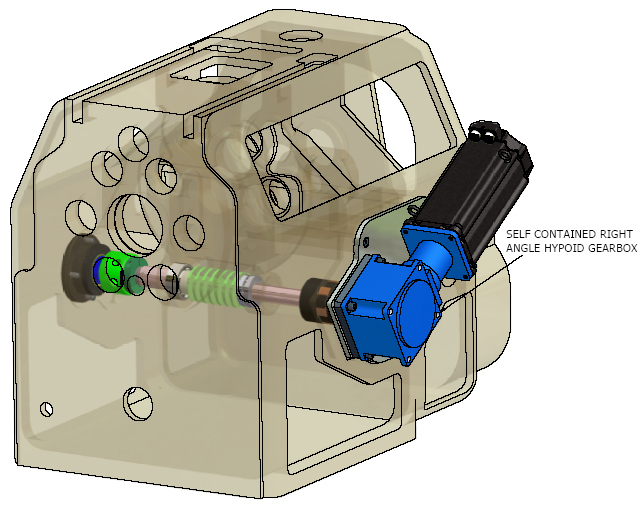 The Feed Servo Motor is Mounted Out of the Way, and Utilizes Standard Acme Gridley Worm Gear, Bearings, and Hardware. Servo Motor mounted out of the way. 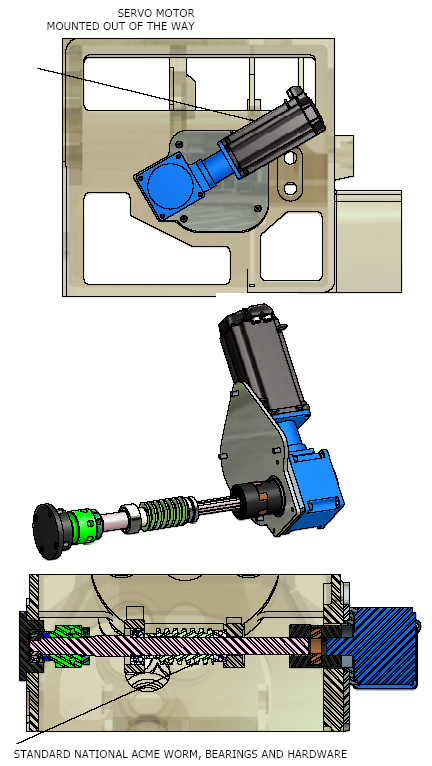 Self Contained Right Angle Hypoid Gearbox. Standard National Acme Worm Gear, Bearings, and Associated Hardware.